On June 16, 2016, FERC denied an application for a 10 MW project to be located on the Bear River in Idaho. The project would have occupied 89 acres of federal land managed by the Bureau of Land Management (BLM). The proposed project dam would have been located five miles below the lowermost dam (Oneida) of the upstream Bear River Project, licensed to PacifiCorp. The proposed project would have inundated approximately two miles of land within the Bear River Project boundary downstream of Oneida Dam which was included in the Bear River Project boundary to protect and improve recreation resources. This includes three recreation areas and whitewater boating areas, conservation lands, and habitat for the Bonneville Cutthroat Trout (BCT), a State of Idaho species of special concern. The proposed project was opposed by numerous intervenors, including PacifiCorp, which argued that the project would violate FPA Section 6 by requiring PacifiCorp to amend its license without its consent. Although the applicant proposed various mitigation measures, including a reservoir shoreline buffer zone, riparian vegetation enhancement at irrigation reservoirs in the project area, minimum flow releases on a tributary to the Bear River and adding recreation facilities several miles downstream, FERC determined that the project should not be licensed for two reasons. First, it would be inconsistent or interfere with the resource management plan for BLM lands occupied by the project by eliminating critical plant and animal habitat in violation of FPA Section 4(e). Second, even if section 4(e) would not have been violated, the proposed project would have unacceptable effects on recreation, fisheries, riparian and wetland vegetation, riverine and wetland habitat, wildlife diversity, and BCT. FERC also found that the proposed project would be inconsistent with several Idaho comprehensive plans and the protected areas plan of the Northwest Power and Conservation Council, and, therefore, failed to comply with FPA section 10(a)(2)(A). Because it denied the license on other grounds, FERC did not address PacifiCorp’s Section 6 argument. On June 3, 2016, the National Marine Fisheries Service (NMFS) published two proposed rules that would designate critical habitat under the Endangered Species Act (ESA) for five distinct population segments (DPS) of Atlantic sturgeon. These are the first proposed designations to proceed pursuant to the recently finalized revisions to the ESA regulations for designating critical habitat. The first proposed rule would designate a total of approximately 3,309 miles of aquatic habitat for the Carolina and South Atlantic DPSs of Atlantic sturgeon. The designated areas include 14 river systems from North Carolina to Florida. In addition to occupied habitat on these rivers, NMFS is proposing to designate three areas of unoccupied habitat upstream of dams on the Cape Fear River, the Santee-Cooper River system, and the Savannah River. NMFS states that these unoccupied areas need to be protected until they become accessible in order to fulfill the conservation objectives for the species. The second proposed rule would designate a total of approximately 945 miles of aquatic habitat for the Gulf of Maine, New York Bight, and Chesapeake Bay DPSs of Atlantic sturgeon. The designated areas include 14 river systems from Maine to Virginia. At this time, NMFS is only proposing to designate occupied habitat that exists downstream of certain impassible barriers to sturgeon, such as dams, other manmade structures, or natural features. Comments on these proposed rules are due by September 1, 2016. On June 16, 2016, the Environmental Protection Agency (EPA) issued a proposed rule introducing certain changes to its Clean Energy Incentive Program (CEIP). The CEIP is part of EPA’s “Clean Power Plan,” a rule promulgated under section 111(d) of the Clean Air act that requires states to submit plans that will set carbon dioxide emission reduction limits on existing fossil fuel-fired electric generating units in the U.S. power sector. The CEIP is an optional program that states may adopt if they wish to incentivize early emission reduction projects under the Clean Power Plan. Under the CEIP, EPA will provide matching allowances or emission rate credits to participating states in which new qualifying renewable or energy efficiency projects in low-income communities begin generating or reduce energy demand during 2020 or 2021, prior to the rule’s compliance start date of 2022. In its original proposed rule, only generation from wind and solar projects qualified for credits under the CEIP. In response to comments filed by the National Hydropower Association and others, EPA has now proposed to expand the eligible renewable energy resources that qualify for the CEIP program to include hydropower and geothermal. Under EPA’s Clean Power Plan rule, states wishing to adopt the CEIP were required to notify EPA of their intention to participate by September 6, 2016. As a result of the Supreme Court’s stay of the Clean Power Plan pending judicial review of the plan, states are no longer required to notify EPA by September 2016, and until the stay is lifted, the timing of the program and the overall Clean Power Plan is uncertain. On June 29, 2016, FERC issued an interim final rule to amend its regulations governing the maximum civil monetary penalties for violations of statutes, rules, and orders within its jurisdiction. The rule adjusts the amounts pursuant to the Federal Civil Penalties Inflation Adjustment Act Improvements Act of 2015. Section 31(c) of the Federal Power Act (FPA) and FERC’s implementing regulations authorize FERC to assess civil penalties for violations by permittees, exemptees, and licensees of any: (1) rule or regulation of Part I of the FPA; (2) term or condition of a permit, exemption, or license; (3) section 31(a) compliance order; or (4) requirement of Part I of the FPA. The maximum penalty authority under section 31(c) of the FPA is currently $11,000 per violation, per day. The interim final rule increases that amount to $21,563 per violation, per day. Section 315(a) of the FPA authorizes FERC to impose forfeiture on any licensee for, among other things, failure to comply with any FERC order, failure to file any report required by Part III of the FPA, or failure to comply with any rule or regulation issued thereunder. The maximum penalty authority under section 315(c) is currently $1,100 per violation. The new rule increases that amount to $2,750 per violation. The rule will become effective upon publication in the Federal Register. On June 23, 2016, the Federal Energy Regulatory Commission (FERC) approved transfer of the license for a 25 megawatt (MW) project from the Eugene Water & Electric Board to Smith Creek Hydro, LLC (Transferee), despite assertions by American Whitewater (AW) that the Transferee is not fit to hold a license. AW’s lack of fitness claim concerned both the Transferee itself, as well as occurrences at projects owned by subsidiary companies owned by one of the owners of the Transferee. When approving the license transfer, FERC considered all these claims, adhering to its longstanding practice of not separating the identities of partners from partnerships where fitness issues are raised, but rejected all claims on the merits. In one instance, an employee of one of the subsidiary companies owned by one of the owners of the Transferee was killed in an avalanche. The subsidiary pleaded no contest to charges of negligent homicide, but was pardoned by the state governor on the ground that the avalanche was an act of nature and that criminal penalties were excessive. FERC held that, without more, this did not show lack of fitness. In the second instance, an affiliate of the Transferee was denied a third preliminary permit, and the license development process it had commenced was terminated for failure to make sufficient progress toward filing a license application. FERC held that failure to complete development of a single project does not show a lack of fitness. Thirdly, AW asserted that the Transferee itself lacks fitness because it is a defendant in an Endangered Species Act violation suit brought by AW and American Rivers in federal district court. FERC held that because the case is pending, no conclusions can be drawn. FERC concluded that none of the allegations raised substantial questions about the Transferee’s fitness, and added that denial of a license is a strong sanction, particularly since FERC has authorities it can use to enforce license compliance. On June 16, 2016, FERC issued a Notice of Proposed Rulemaking (NOPR) to implement provisions of the Fixing America’s Surface Transportation (FAST) Act and separately to modify its regulations for protection of critical energy infrastructure information (CEII); that is, specific information regarding the design of energy facilities that could be useful to someone planning an attack on critical infrastructure. The FAST Act, among other things, requires FERC to: establish criteria and procedures for designating information as “critical electric infrastructure information;” prohibit its unauthorized disclosure; establish sanctions for FERC employees or agents who make unauthorized disclosures; and facilitate voluntary sharing of such information among agencies, owners and operators, and others FERC deem appropriate to have such information. The FAST Act defines “critical electric infrastructure information” to include CEII as defined in FERC’s rules. Thus, CEII will refer to critical “electric/energy” information and encompass all critical infrastructure information, regardless of which FERC-regulated industry is relevant. FERC proposes to separate its rules for filing and release of CEII from its rules for “privileged” information, such as sensitive cultural resources information. CEII submitters will be required to clearly identify and, wherever possible, segregate CEII from other information, provide a submittal date, and state how long the CEII designation should apply and why. They will also be required to submit several pieces of specific information justifying their need for the CEII designation. Owners of CEII will continue to be able to obtain most CEII information regarding their own facility without a formal request, but FERC staff will not be required to inform the CEII Coordinator of such requests prior to releasing any information. The FAST Act establishes a CEII designation duration date of 5 years unless FERC determines otherwise. In the ordinary course, FERC will continue its practice of deeming each submission claimed to be CEII as correct. FERC also will not establish a duration date at the time of filing. Rather, questions regarding whether the designation is proper or whether a correct designation should be removed will only be considered when and if a request is made. FERC will also notify the submitter whenever it proposes to take the affirmative step of removing a CEII designation. The FAST Act exempts CEII from release under the Freedom of Information Act (FOIA). However, a FOIA exemption does not prohibit an agency from releasing information subject to the exemption. Agencies have discretion to release such information. FERC states that it has relied on the law enforcement information FOIA exemption in the past to protect certain information, but its general practice has been to release CEII to any requester that signs a non-disclosure agreement (NDA). FERC proposes to continue its current practice, but to modify its various NDA forms to require the requester not to disclose the information without prior FERC approval. On June 21, 2016, the U.S. Court of Appeals for the Ninth Circuit (Ninth Circuit) held that Bonneville Power Administration’s (BPA) proposed changes to reservoir levels at the Albeni Falls Dam did not require preparation of an environmental impact statement (EIS) under the National Environmental Policy Act (NEPA) because the changes would not alter the status quo. In the initial winter months of the dam’s operation, the U.S. Army Corps of Engineers (Corps) fluctuated reservoir levels for power generation, but from 1997 to 2011, the Corps held lake levels constant to avoid impacts on the kokanee salmon population. In 2011, BPA, the Corps, and the Bureau of Reclamation, which jointly manage the dam’s reservoir, proposed to return to a more flexible approach and allow the lake level to fluctuate during the winter months. The agencies prepared an Environmental Assessment, concluding that winter fluctuations would have no significant environmental impact. Based on this conclusion, the agencies decided to move forward with the proposal. The Idaho Conservation League challenged this decision, claiming that the agencies’ action required the preparation of an EIS. The Ninth Circuit denied review. The court noted that NEPA only requires the preparation of an EIS when a proposed federal action is major. The court held that “when an agency, responding to changing conditions, makes a decision to operate a completed facility within the range originally available to it, the action is not major” and does not require preparation of an EIS under NEPA. In other words, the court explained, when a proposed federal action does not change the status quo, an EIS is unnecessary. On June 10, 2016, the Department of Energy (DOE) selected 47 recipients to receive hydroelectric production incentives (HPI) payments under the Energy Policy Act of 2005 (EPAct 2005) Section 242 Program. The FY 2015 omnibus budget bill allocated $3.9 million in HPI for the development of “new” hydropower at existing dams and impoundments under the Section 242 Program. The HPI allows a facility to collect 1.8 cents per kilowatt hour, with a cap of $750,000 per year, for up to 10 years. FY 2015 was the second year in which these funds were appropriated. On June 1, 2016, the Corps published its “Proposal to Reissue and Modify Nationwide Permits” in the Federal Register. This publication triggers a 60-day comment period, with comments due to the Corps by August 1, 2016. The Proposal is the Corps’ latest renewal of its “Nationwide Permits” (NWPs) program that authorizes general categories of construction in waters of the United States. The Corps reissues the NWP program every five years and the current NWPs are set to expire on March 18, 2017. Interested parties may wish to carefully review and draft comments on the specific issues for which the Corps is seeking comments that are most likely to impact their business and project development plans. 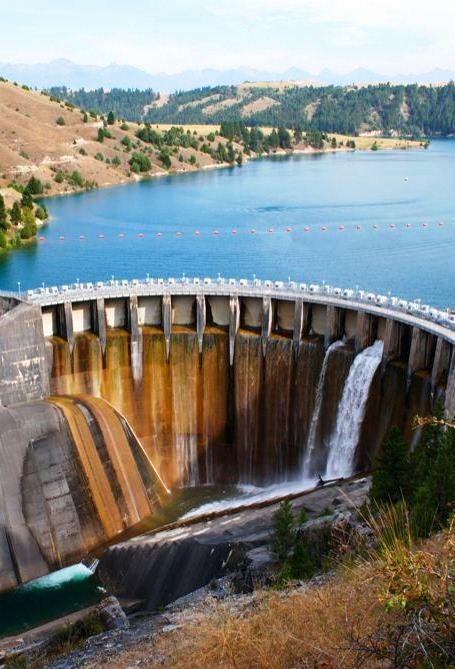 There are several NWPs that are of significance to hydropower: NWP 17 - Hydropower Projects; NWP 52 - Water-Based Renewable Energy Generation Pilot Projects; and Proposed NWP A - Removal of Low-Head Dams. For more information on the Proposal and the NWP process in general, please see VNF’s Alert.